Wayne, Pa. (May 4, 2018) — Tri-Seal, a Tekni-Plex business, will be showing innovative closure liner solutions to support prestige brands at Luxe Pack New York, May 16-17, Pier 92, New York, Booth B113. Included will be its patented Sniff Seal® technology, which is the first liner to enable scent permeation through an induction seal closure liner without affecting the seal or compromising the contents. Additionally, Tri-Seal will feature its Luxe® seal line which offers the right mix of aesthetics and function for premium cosmetic or personal care products. Brand owners are constantly looking for ways to create product differentiation. 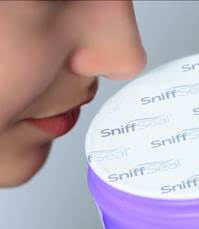 Sniff Seal® technology is an ideal way for the consumer to experience a scent in the retail aisle without compromising the seal or the product contents. Luxe® seal closure liners with innovative, foldable, easy peel Luxe® tabs offer a departure from traditional tabbed liners for premium beauty care products. The embossing delivers impactful messaging, while the pull-tab enhances functionality. Luxe® seal liners can be embossed with a logo or brand or cold-foil stamped in the color of your choice. Customizable messaging is another way to create differentiation. Tri-Seal will also be featuring its EdgePull® induction seals which provide health and beauty aids and personal care products with protection and easy-opening functionality advantages. The seals also peel cleanly, which means no adhesive residue/strings to contaminate the contents after opening. Tri-Seal will also be featuring its full line of foam liners suitable for a wide variety of applications. Action Technology, another Tekni-Plex business, will have an array of aerosol and pump dispensing components on display.